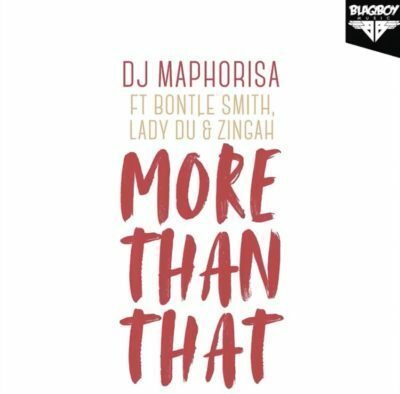 Checkout DJ Maphorisa – More Than That ft. Bontle Smith, Lady Du, Zingah brand new song. More Than That is the new Gqomu song performed by Blaqboy Music boss DJ Maphorisa including growing Gqom artistes Bontle Smith & Lady Du. The melody likewise accompanies few lines from Lawd of The Jig, Zingah. Listen & get DJ Maphorisa – More Than That ft. Bontle Smith, Lady Du, Zingah below.